Lot Size - 5,684 sq. 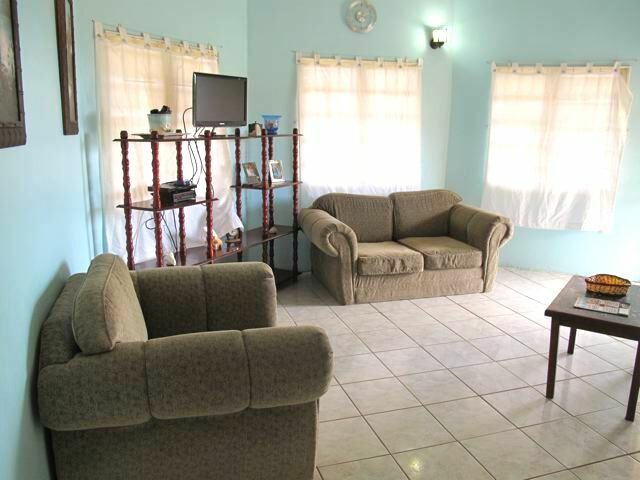 ft. Dwelling - 3,400 sq. ft. 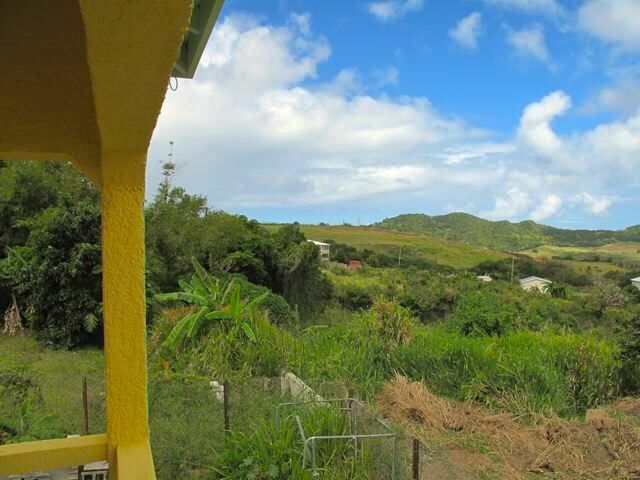 Located in Cedar Grove, less than 10 minutes from Basseterre, this family home offers mountain and ocean views in a quiet and upcoming residential area. 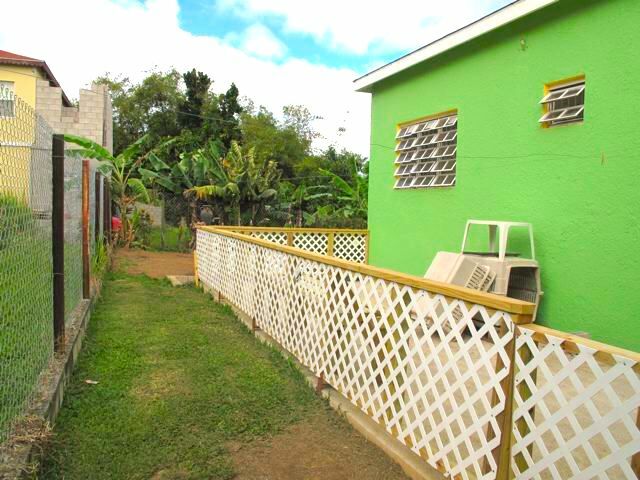 Located on a 5684 square foot lot, the home consists of a covered car port which leads into a spacious laundry area. 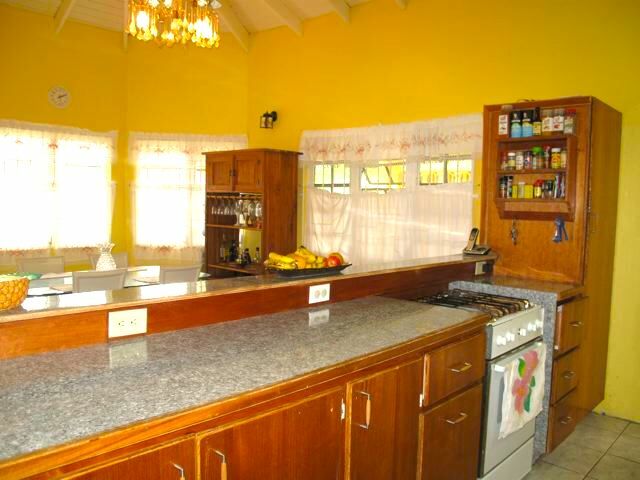 The main front entrance with a large wrap around veranda opens in to a large open plan living room with windows which open for the view and breeze and leads into the large kitchen and dining area. 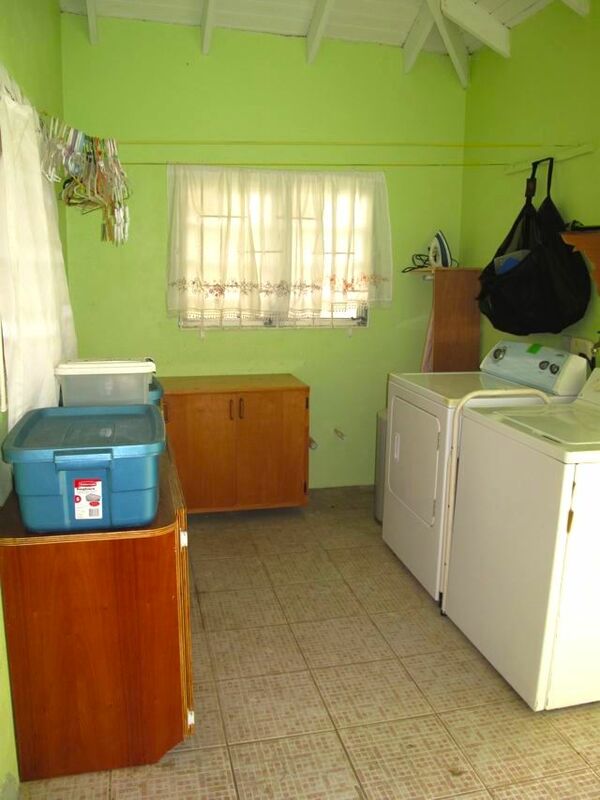 The laundry room is located off the kitchen and has access to the parking area of the home. An exterior door opens to a small patio area to the back of the home for outdoor dining. 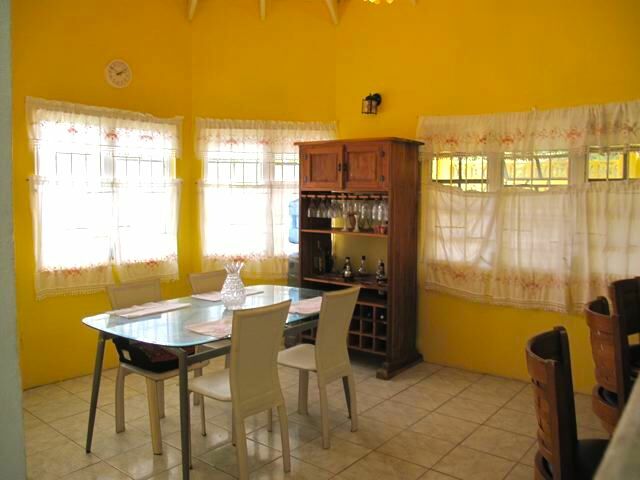 The three bedrooms are accessible from a corridor with the master bedroom with ensuite bathroom and walk in closet located on the right and this room offers access to the veranda. 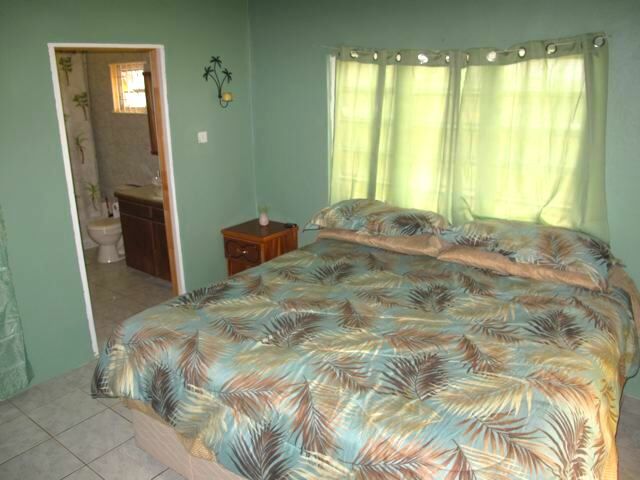 A further two bedrooms are located on the left side with a shared bathroom between them. 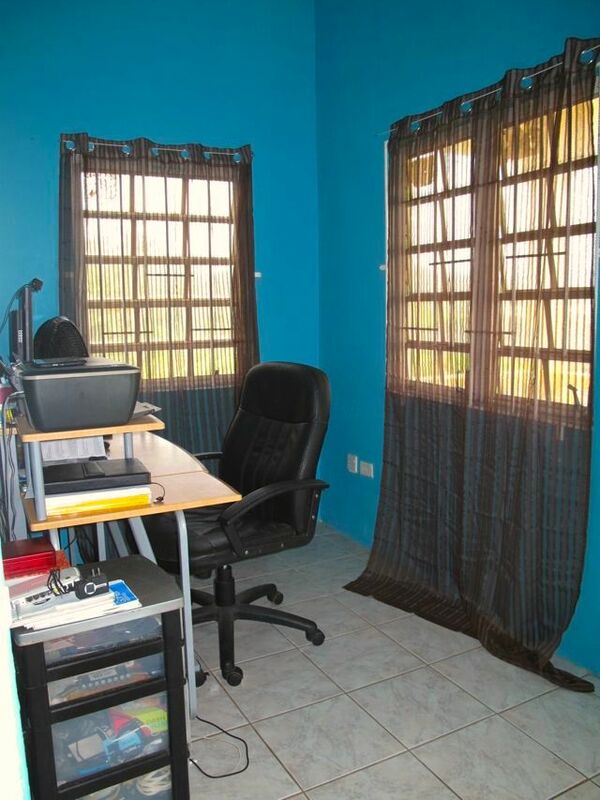 A small office with access to an outside veranda completes this level. The bedrooms are air conditioned. 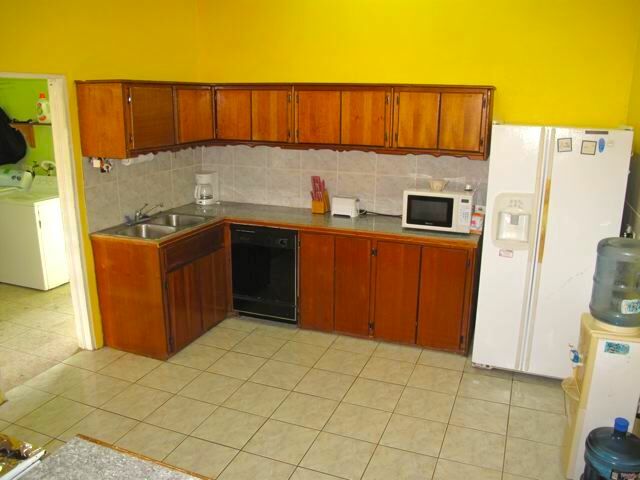 A spacious two bedroom one bathroom apartment offers the opportunity for rental income. An area for off road parking leads to the small veranda and entrance into the living area and kitchen. 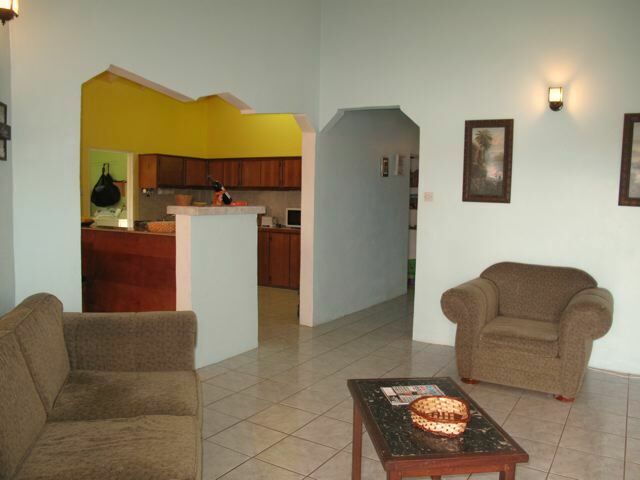 Two bedrooms with air conditioning share a bathroom and laundry area. Annual property tax is approximately is approximately US350. Non citizens may need to apply for an alien land holding license.